POST, OR -- The fast-moving Crooked River trapped a woman on a small island, Tuesday morning. 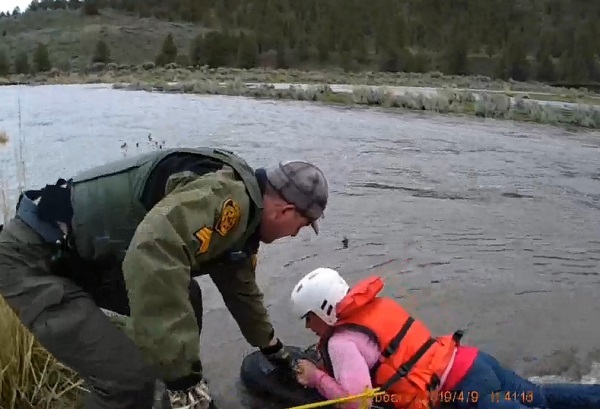 "Crook County 911 received a distress call from the Bonnieview Ranch in Post," says Crook County Undersheriff James Savage, "It was reported that a female had been thrown from her horse and was stranded on an island in the Crooked River. 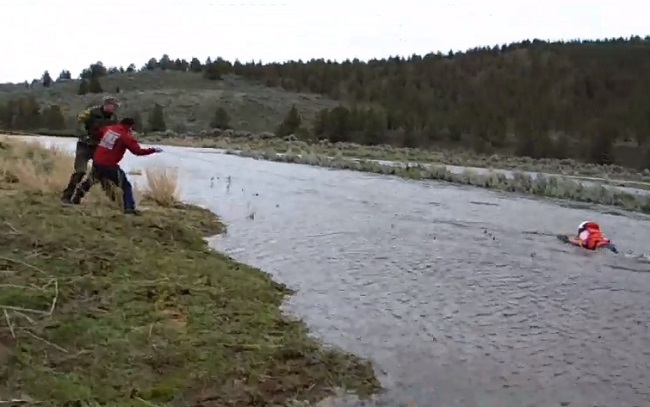 Due to the warming weather and rain, the Crooked River above the Prineville Reservoir is swollen, creating several islands." Savage tells KBND News, "Kristine was working on the ranch, she and another male went out to check the cows that were stuck on an island. They crossed two crossings – the first crossing, they made it safely; the second crossing, they both got bucked off their horses. It was much swifter and deeper than the first crossing. The male made it back safely to shore with both horses. However, Kristine, who went under the water was stranded in the middle of the river." 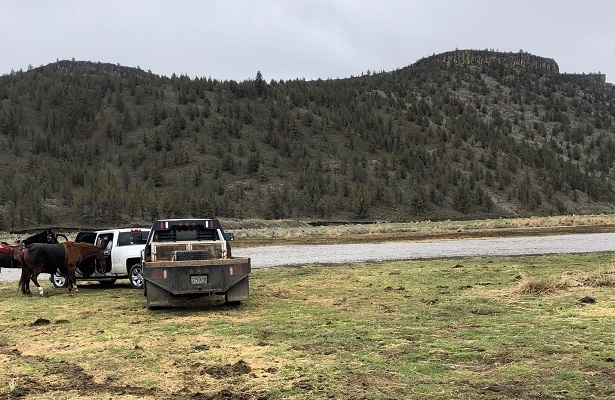 Crook County Deputies, medics and Search and Rescue teams responded to the area, about 20 miles southeast of Prineville, just before 10:30 a.m. They found 31-year-old Kristine Voakes, of Prineville, stuck on the small island. "Crook County Fire and Rescue has some swift water gear on their ambulance," says Savage, "Sheriff’s Deputies and Fire personnel were able to be driven across the first crossing by a ranch tractor. The second crossing was much deeper and swifter. Crook County Fire personnel then deployed into the water and were able to make it to the island where Kristine was at." They helped her into safety equipment and pulled her back across the river. Click HERE for a video of the rescue. Voakes was checked out by medics; she was cold and wet but otherwise unhurt. Savage says Tuesday's rescue had a good outcome, but he reminds everyone that rivers are running high and everyone needs to use caution. A few miles away from where Voakes was stranded, Paulina Highway was partially closed due to rising water.